As a parent, would you like to be faced with fitting an additional $165 or more into your monthly budget just to get your children to school each day? Unfortunately, this is a scenario that is playing out across the nation when school levies fail and children head back to school. Are These Fees Even Legal? Whether or not school bus fees are constitutional remains to be seen. However, the American Civil Liberties Union (ACLU) has already filed suit in California “against what they called the state’s “pay to learn" public schools — about what it means to provide a “free" public education under state constitutions." In the opinion of the Attorney General of Indiana, such fees are unconstitutional. The school district in 2010 was weighing options and was considering whether to cut out transportation services entirely. In my opinion, the problem is not that these state and local governments do not have enough revenue and must cut funding to vital programs like education or charge fees for services like school bus transportation. The underlying root is the same one plaguing the United States government. The results of decades of unrestrained spending and implementing unnecessary entitlement programs with no thoughts of how such spending would be funded in the future has come home to roost. State, local or federal, these governments have done what the private individual cannot. When the federal government runs out of money, it just prints more (think devalued dollar, increased inflation and decreased buying power). Across the board, governments simply take money from someone else (think taxpayers) whenever there is a shortfall. This happens because the government does not produce goods or services that generate revenue. They are dependent on taxpayers for revenue and in a perfect world would only spend the amount that they collect in yearly tax revenues. However, this is not a perfect world and rather than adopt a balanced budget each fiscal year and then live within that budget, they spend, spend, and spend. Now, I don’t know about you but if I were in financial trouble (I’m not…I have a balanced budget), I can’t go to my next-door neighbor and demand that he give me his money to bail me out. I would have to assess my finances and figure out where I could cut my expenses and if needed, I might have to take on a second job until I got my finances back under control. If you keep current with the political news, you understand that this is not a popular concept in the United States. Government entities are addicted to uncontrolled spending with zero accountability and they don’t want to stop. They forget they were elected as stewards of our tax monies and are expected to make wise spending and investment decisions. These monies do not belong to these politicians nor are they at liberty to spend them as they please. A good word picture here would be stock broker. When you give your money to your broker, you have the expectation that he or she will use it to increase your net worth and pay any associated fees. If instead, he or she mismanages your money, you have a right to be angry and even seek legal restitution. Instead of representing “we, the people" they have opted to represent “we, the politicians." Monies that could be funding education or defense are diverted to buy votes to keep them in power. When/if taxpayers can force them to stop (think vote them out), instead of considering expenditures on a line by line basis, their remaining cohorts immediately cut essential programs like education, defense or other public services. Wouldn’t it make better sense to cut funding to programs like the one that studies male Vietnamese prostitutes to understand disease transmission better ($500,000 per year) or cow flatulence ($700,000)? One wonders how much (if anything) school districts would need to charge for school bus transportation or other fees if they were to receive an infusion of that kind of funding from the federal government. In additional to placing an additional financial burden on families, there are more "costs" incurred by charging school bus fees. Safety: Many students will have to walk to schools rather than be bussed, but many schools are not prepared to provide adequate safety measures to protect these students where facilities do not have sidewalks or crossing guards. Also, young students are not prepared to defend themselves against hurtful strangers on public transportation. Traffic: With more parents opting to drive or carpool, traffic increases. This is going to place a burden on municipalities to provide more police officers to control traffic and/or school districts have to hire more staff to help with traffic issues. More cars mean the potential for more accidents and traffic snarls. Commute times will increase and parents run the risk of being late for work or business appointments. Lost income: When parents are forced to transport their kids instead of sending them on the school bus, they lose time and income. My experience is that in the rural school district where my son is enrolled, the average wait time in the car rider line is about 40 to 45 minutes daily or about 3 ½ hours per week. The wait time is surely higher in metropolitan areas and would increase as the number of car riders rose dramatically. Time is money ($90.50 plus gas each week for me) and for every minute a taxpayer waits in line to drop off a child, he or she is losing income. Lost income equates to fewer taxes and less revenues for states. Can you say vicious cycle? Low-income families suffer: These types of fees punish families with lower incomes. What will parents do if they cannot afford the fees? How do they get their children to school? While some may say that they simply must drive them, what happens to those whose working hours prohibit them from transporting their children? What if they don't drive? They might need to choose between working and taxiing children to school. It doesn’t work: Like most panicked reactions by governments that fail to consider the long-term consequences of raising taxes and imposing fees on services, these school bus fees aren’t working. 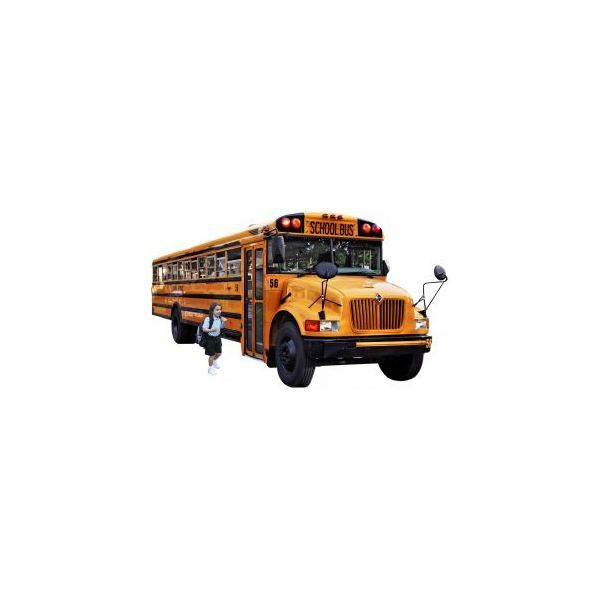 For instance, in Franklin Township, Indiana, the number of students riding the buses dropped from 7,000 to 2,000 this school year. One can only hope government bureaucrats have not already spent the revenues they expected to collect from the 7,000 student riders or they will be facing yet another shortfall. In addition to pulling students off the buses and transporting them personally, many parents are considering whether to just move to different school districts or more parent-friendly states. Either of these moves decreases the amount of expected revenues that municipalities would expect by charging such fees. As with most alternatives, the viability of any one of these methods needs to be researched before you make a decision. However, for families with more than one child to transport, considering the overall cost of paying for the bus, one of these alternatives just might be the best economical alternative for you. While many school districts are setting up payment plans that allow these families to pay for these fees over time, how many families really need to add one more monthly payment to their budget? In a country as prosperous as America, no parent should be forced to decide between putting healthy food on the table and bussing a child to school. I’d love to hear your thoughts on this matter. This piece was written a few years back during the last economic downturn, but for many school districts paying for the daily school bus is still an issue. Do you think parents should have to pay school bus fees (or any fees for that matter) if the state constitution for their residence provides for a “free public education?"